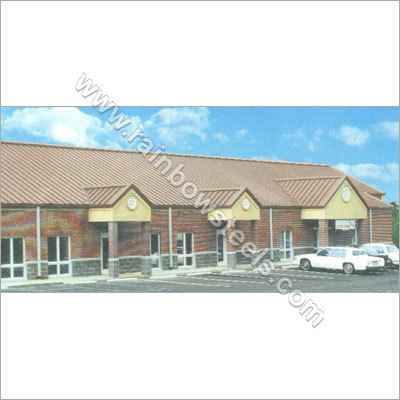 Our company has emerged as a reliable Colour Coated Steel Roofing manufacturer, supplier and exporter in India. Quality is something that we never compromise upon and therefore, in this huge industry, we have earned an outstanding reputation. Our offered World Class Roofing are popular for their several attributes such as light weight, overall width, excellent durability, high grade material used, etc. The impeccable quality of our World Class Roofing are widely used widely used in factory, warehouse, exhibitions and civil construction. Further, we offer our high quality Steel Roofing at a pocket friendly cost that are easy to install, have a high strength and are highly reliable.